Are you a Business Owner located in the Caboolture InfoCaboolture is a suburb in the Moreton Bay Regional Council area. Surrounding suburbs include Morayfield, Burpengary, Deception Bay, Elimbah, and Narangba. Caboolture is a fast growing regional centre with new businesses opening regularly and major infrastructure projects underway. Your Caboolture based business needs a website to take advantage of this growth. area or surrounding regions? 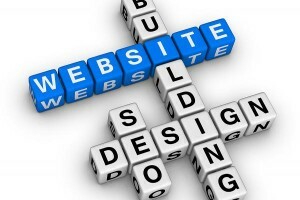 Are you looking at getting a Website or getting an existing Website redesigned or updated? Are you trying to generate more business and believe the way to do it is to get a new Website or develop your online presence? Are you contemplating expanding your website to include eCommerce and online sales? If you answered YES to any or all of these questions, and if you have been searching for Caboolture Website Design, Caboolture Website Hosting or Caboolture SEO, then you have come to the right place. Welcome to the home of your Caboolture Web Design Consultant InfoWe are your local Web Design Consultants in Caboolture. With years of experience in Website Design, Web Development, eCommerce and SEO, we can develop and maintain your business website. Web Design Caboolture can create a custom WordPress website at an affordable price. We have been servicing the Caboolture region for over 10 years, and we can design not only your new website or revamp your old website, but we can provide Website Hosting, Email Hosting, and register your Domain Name too. In fact, we can provide all the Web Related Services you need including eCommerce Solutions, Ongoing Web Development, Social Networking Advice, Facebook setup, Twitter setup and even Content Writing if that’s what you require. 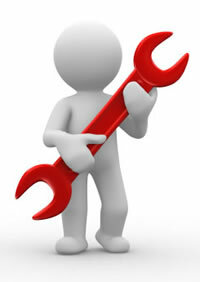 We can also optimise your website for better Search Engine Results. This practice is known as SEO and is a must for a successful Business Website. We have a developed websites for many different Industries. And being a local web development company means we have a better understanding of your specific local interests, unlike other web design companies which are outside the region. There has been a huge uptake of Mobile Phones and Tablets as a means of surfing the Internet and viewing websites. And with these devices being used more and more by people to locate Businesses, Products, Goods, and Services, it is imperative that your Business Website can display correctly on these devices. A website that can adjust to the different screen sizes is said to be “Responsive“. A Responsive Website will “scale” the content and images to correctly display regardless of the screen size. Your website should also be “Cross Browser” compatible. This means that it should also display correctly across multiple platforms like Internet Explorer, Mozilla Firefox, Google Chrome, Apple Safari and Opera to name the most well known. If it doesn’t, then you may present your business website in an unfavourable and/or unprofessional light, not to mention that it might deter a visitor from browsing further through your website. 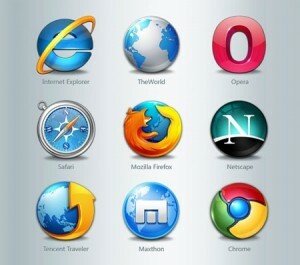 You can test to see if a website is Cross Browser by installing a few different Browsers on your computer. Go ahead and try it. View our website with some different Browsers, and then try one of our competitors. Absolutely YES your business needs a website. According to the 2011 Census, the combined total population in Caboolture and Caboolture South alone was 26,782. Combine this with the population in Morayfield of 19,346 and 12,963 in Burpengary, and growing fast, you’ll soon understand the necessity to capture some of that market. The Caboolture Morayfield region is one of the fastest growing areas, and there are an awful lot of potential customers out there just waiting to find out about your Business and your Products. The average age of those 1000’s of people is around 32 years old. Most of those own a computer and have access to the Internet, and it is well known that people in this age group use the Internet to search for and find local Products and Services. Your Caboolture based Business should be utilising this resource too. You can use a Website, and Social Networks like Facebook and Twitter, to communicate and engage with customers to promote your Business. This is the way Business is conducted in the 21st Century, and if you are not embracing it, you are missing out. Web Design Caboolture is here to help, with over 15 years experience we have the skills required to create a professional, affordable website for your business, that conforms to current modern website standards, and is cross browser compatible. Don’t risk time and money, contact Website Design by Spotty Dog Computer Services today to find out how we can develop an outstanding eye catching website for your business. What do you get when you “lease” space on our VPS? Is it time to step up to a VPS in 2016?